We are happy to be unveiling our new Partici-Painter rewards program along with our new site this week. 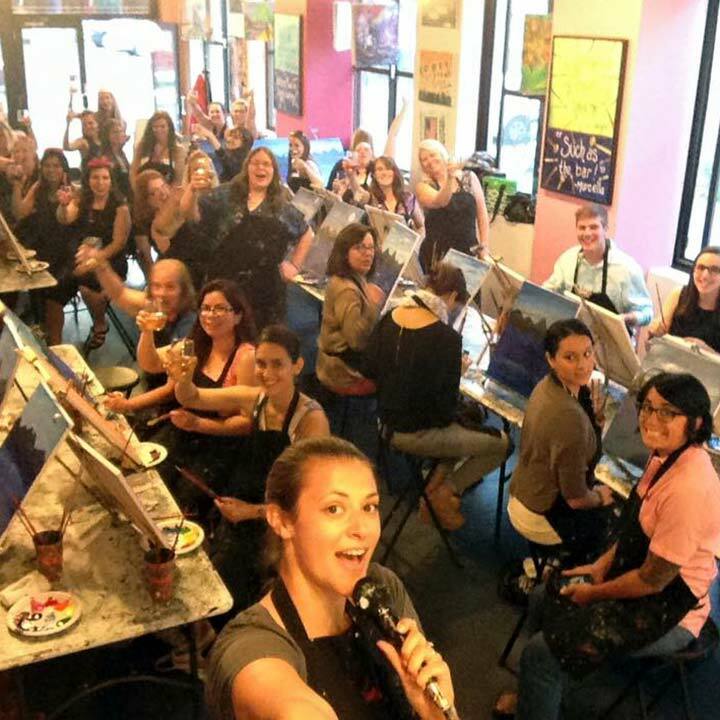 It’s no secret, we are the original paint and sip studio in the Capital Region and Vermont and it’s mainly due to our loyal Partici-Painters who experience our studio on a regular basis. We love to reward those who continue to support our local small business. If you are familiar with our frequent painter program, you will notice some changes right away. When you go to Sign Up for an event for the first time, we suggest you Register as a Partici-Painter on our website. This will allow for us to reward you with points towards a free seat in the future. Plus, we’ll give you extra points just for signing up! You also have the option to sign up as a guest, but you will miss out on free seats for future events. We will love you either way! First and foremost, the most exciting part is you will no longer have to worry about manually checking in using the in-studio kiosks. Your points will now be loaded into your account on our website once you register online. After 5 paid visits to our studio, you’ll be rewarded with enough points to redeem towards 1 free seat. All of this will be right there on our site, within your account, once you log in. After registering for the first time, shoot us an email to alert us that you have signed up and we will transfer your points over! We will no longer be issuing free seats for your birthday, as we have felt majorly taken advantage of and no one likes that! We have decided to celebrate your birthday in true Paint and Sip fashion in the studio at the live event. Be sure to let the artist know when checking in at the bar that it is INDEED your birthday. No one celebrates birthdays like we do, so sit back, relax and expect to be celebrated in a big and bright way! Better yet, we like to celebrate all things at Paint+Sip, so let us know if you are celebrating anything at all and we can join in!